Cut and emboss shaped cards. 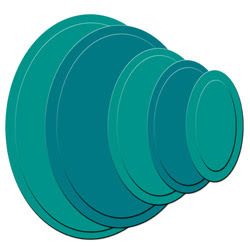 Nestabilitiy Dies - Petite Oval, Small --- Cut sizes range from the largest die - 3 1/4"w x 4 1/4"l to the smallest die - 7/8"w x 2"l.
$21.99 for the set. Please e-mail me if you wish to purchase these dies. I will need your preferred payment and your zip code. I accept PayPal, Visa and Master Card.